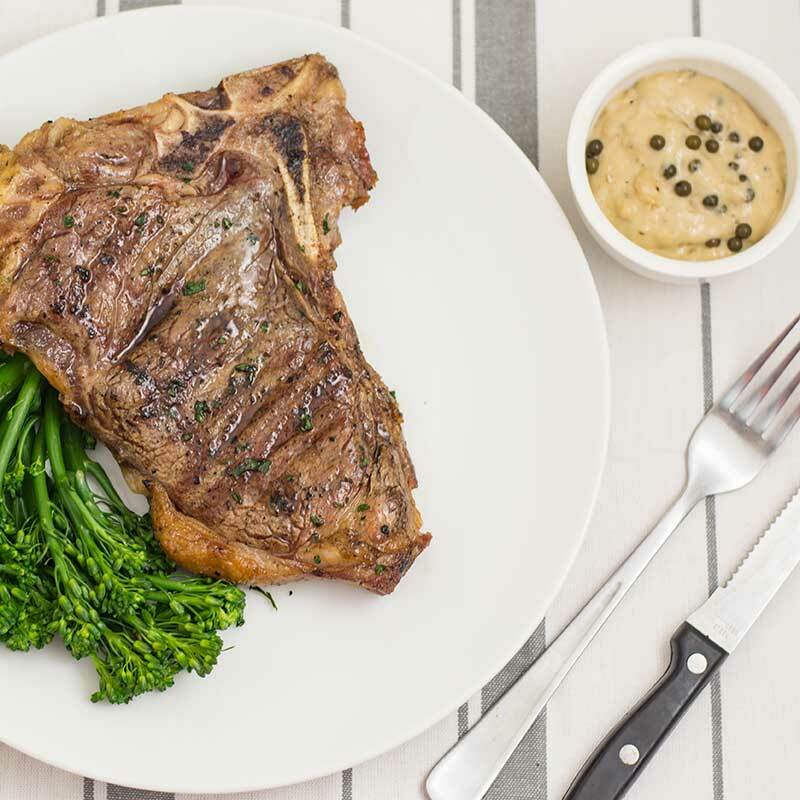 Our delicious creamy Keto Pepper Sauce is an ideal condiment to serve with grilled steak, chicken, and vegetables. The combination of 3 types of pepper makes this sauce rich and flavorsome. 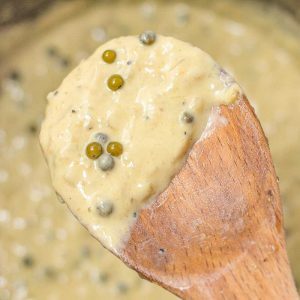 Most pepper sauces that are served with steaks at steakhouses, pubs, and clubs are based on a carb-heavy gravy powder with a small splash of cream added. 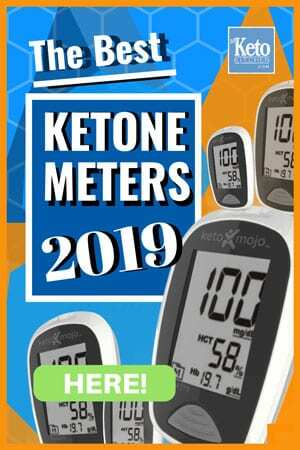 Not very keto friendly at all! This low carb pepper sauce recipe makes 4 serves. 1 serving is ¼ cup. Store the keto pepper gravy in the fridge for up to 4 days. To reheat; place in a saucepan over low heat and stir until warmed through. Place a saucepan over high heat, add the butter and onion and saute until translucent. Add the beef stock and reduce by half a cup. Pour in the cream and add the three types of pepper and simmer for 5-7 minutes. 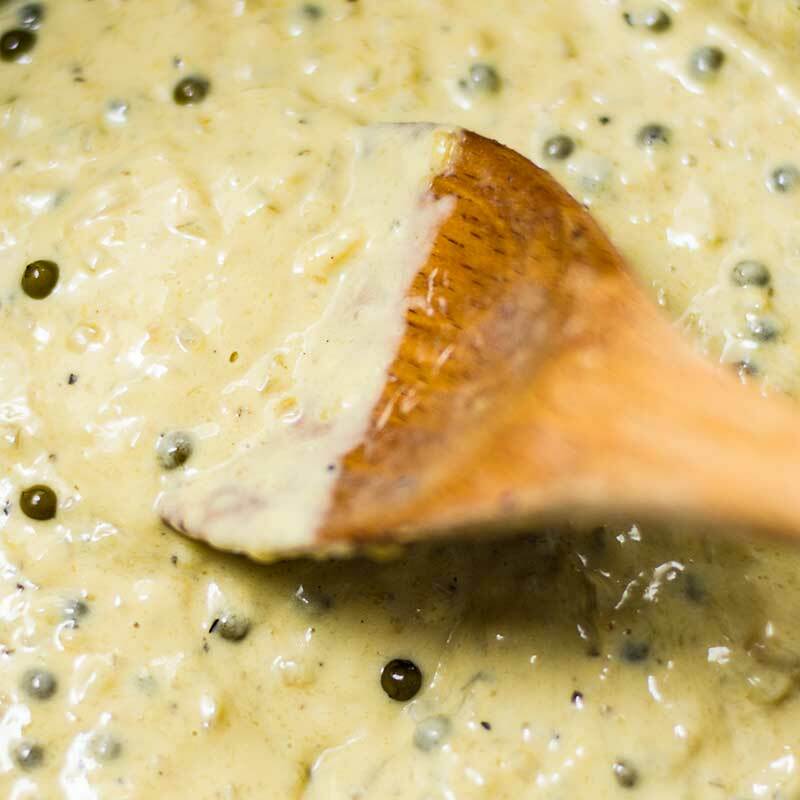 Sprinkle over the xanthan gum – using ¼ teaspoon for a pourable sauce and ½ teaspoon for a thicker spoonable sauce. Serve poured over grilled steak, chicken or vegetables. 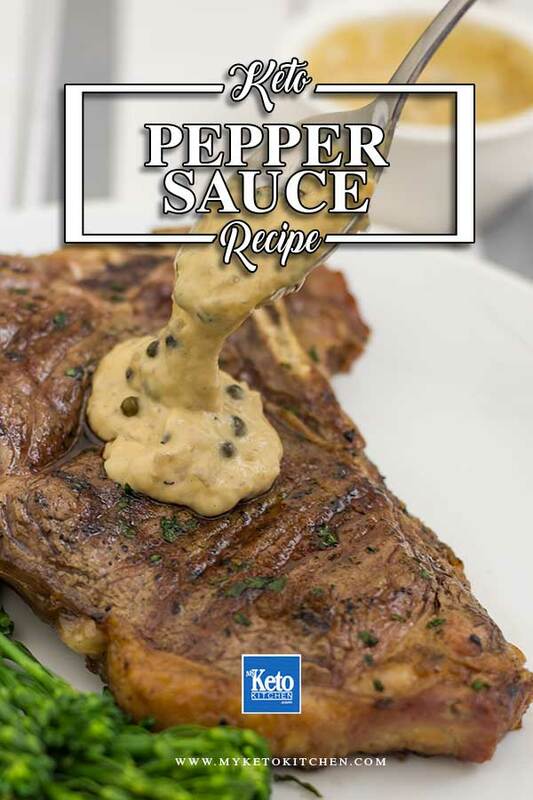 Keto Pepper Sauce - Low Carb "Creamy Gravy" For Your Steak! Sprinkle over the xanthan gum - using ¼ teaspoon for a pourable sauce and ½ teaspoon for a thicker spoonable sauce. To make a larger batch of this Keto Pepper Sauce recipe adjust the servings above. Wonderful combination of flavors, Thanks for sharing..